An intimate and moving novel about characters living adjacent lives in a rapidly changing city. Marie and Simone, survivors of World War II in Europe and friends for decades, are widows living alone in Manhattan. Sid Morris, an aging artist, presides over a dusty studio slated for condo conversion, where both women study painting. Elizabeth, a young mother and neighbor, is unnerved by her teenage son, her husband, and by the easy bustle and competence of other parents. With bold strokes, Walbert paints portraits of marriage, of friendship, of love in its many facets, and of the restlessness of time (and weather), exploring the growing disconnect between the world of action her characters inhabit and the longings, desires, and doubts they experience. 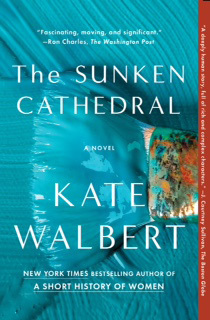 The Sunken Cathedral, with its “deliciously human, memorable characters” (San Francisco Chronicle), is a profoundly wise feat of empathy, an inventive, indelible novel of loss and resilience.